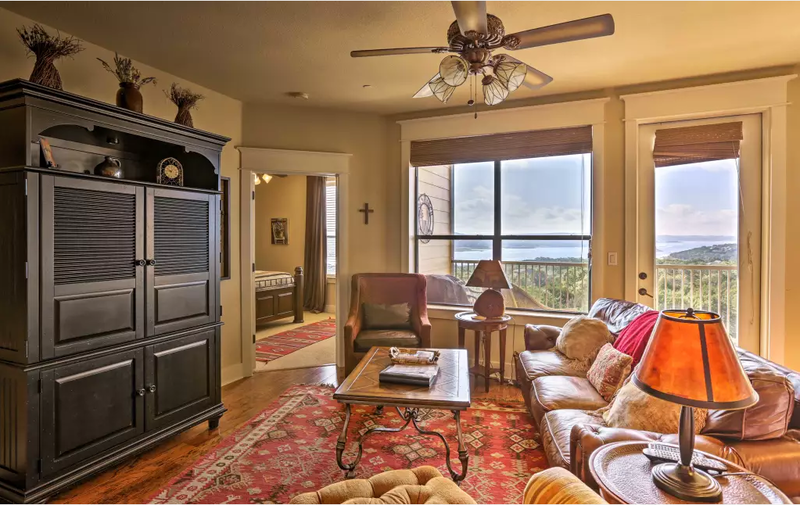 Witness life's stresses melt away while you stay at this fantastic 3-bedroom, 2-bathroom vacation rental condo in Jonestown! 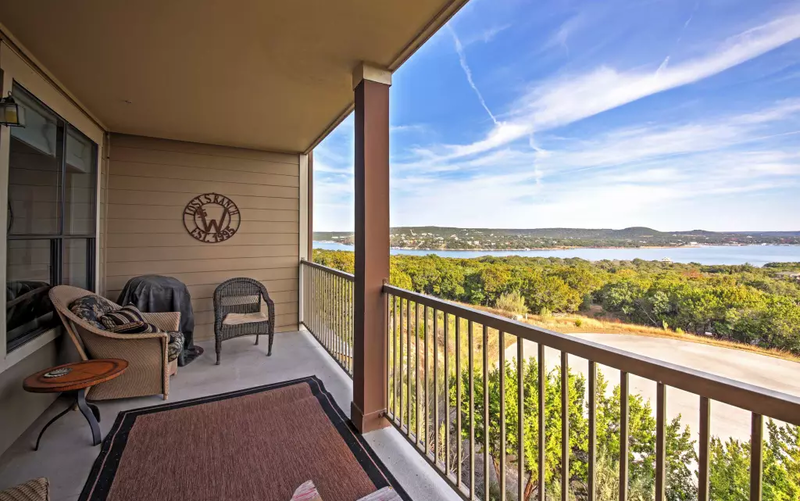 Boasting a tremendous view of Lake Travis from the private balcony, and featuring accommodations for up to 8 lucky guests, this stunning property is ideal for families or friends sharing an unforgettable retreat! Whether you're in town to soak up the sun by the community pool or explore the Colorado River, this is the perfect Austin-area getaway! 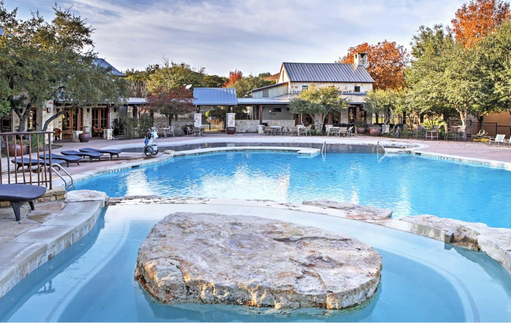 You'll find a true home-away-from-home at Lost S Ranch, offering everything you need to have a relaxing getaway! 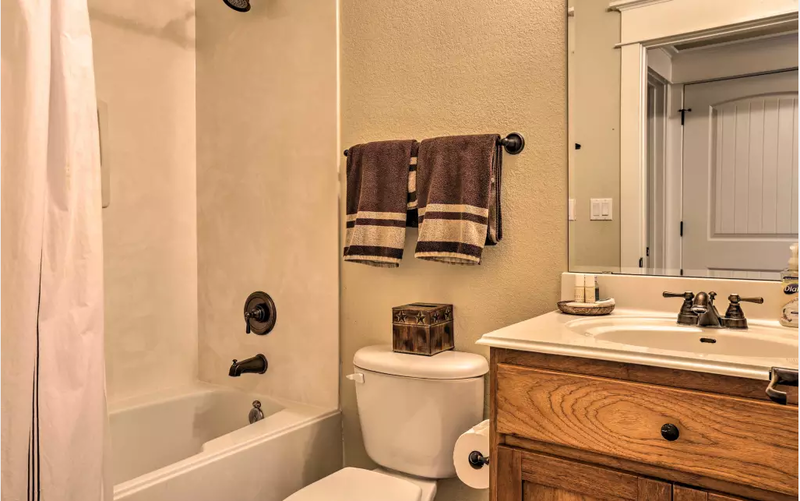 This professionally decorated unit features a soft leather sofa where you can relax and watch a program on the 40-inch flat screen cable TV in the gorgeous armoire, or enjoy watching your favorite movie on the DVD player. 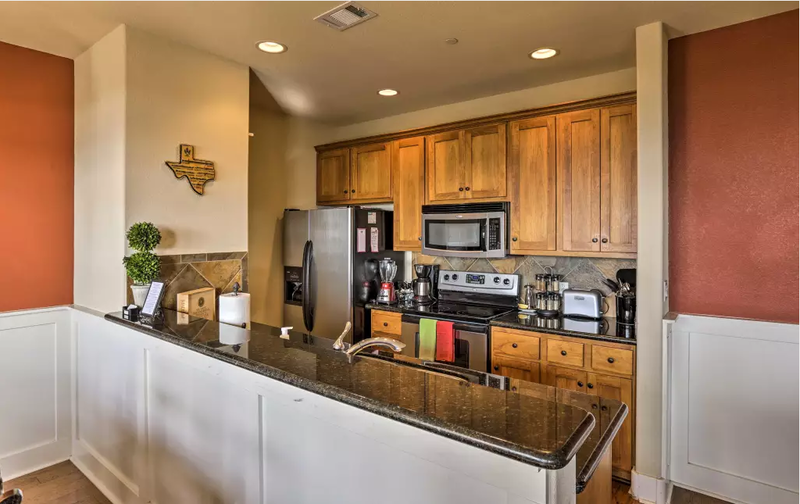 The fully-equipped kitchen, featuring bull-nose edged granite countertops, slate backsplash, and high-end stainless steel appliances, is stocked with everything you could need for the chef in your group to prepare a home-cooked meal. 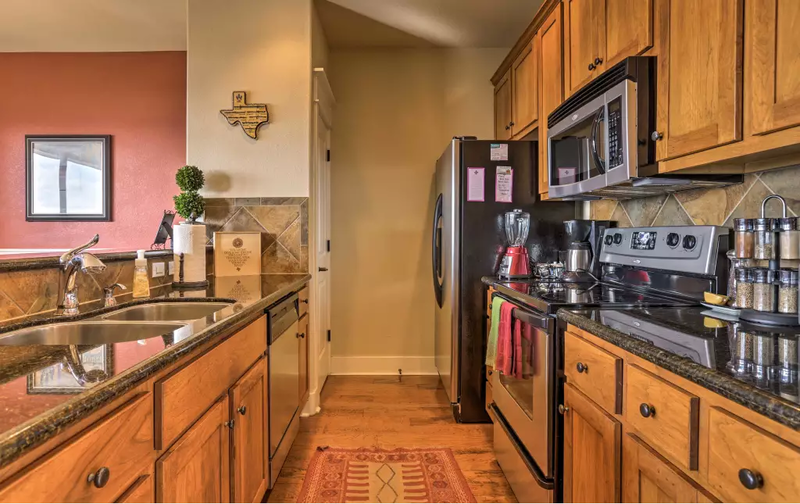 Amenities include a smooth surface electric stove, oven, microwave, dishwasher, double sink, toaster, and coffee maker. 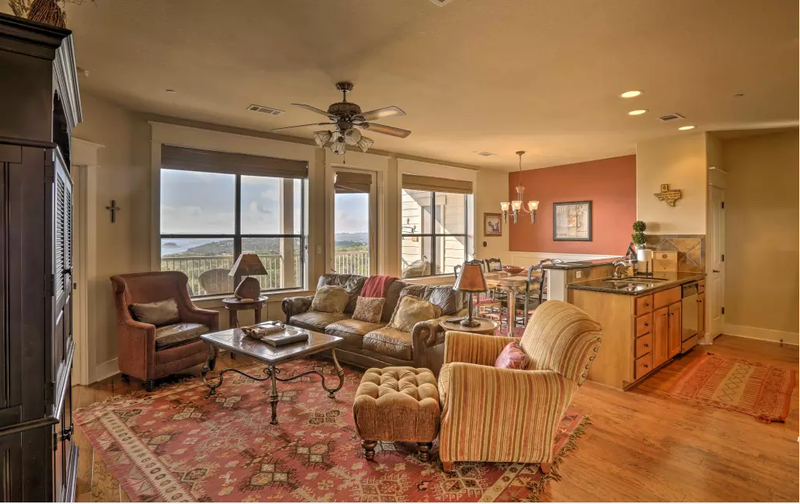 Enjoy the sumptuous feast at the nearby dining table, which offers comfortable seating for your guests. 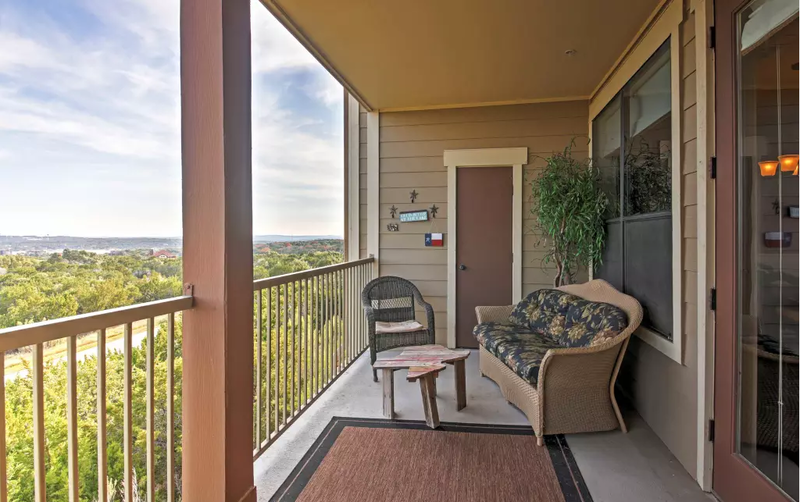 Take a break from the kitchen when you cook out on the electric grill located on the patio, or simply enjoy a good book on the rattan seating while you enjoy the view. 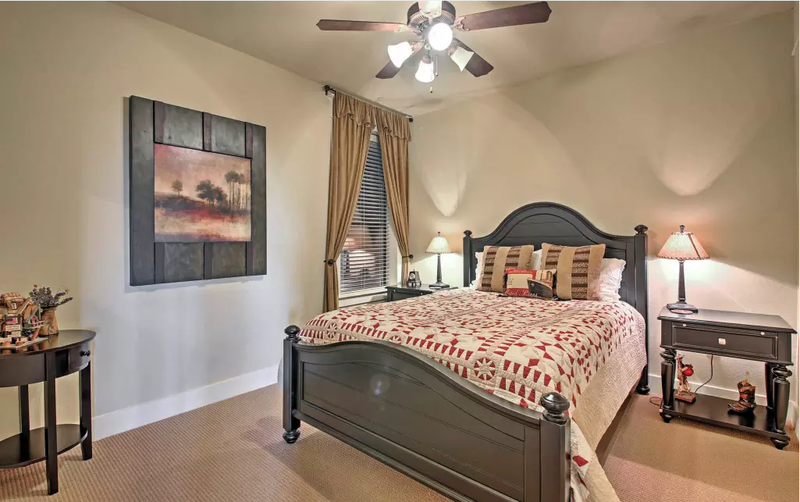 When it's time for a peaceful slumber you'll appreciate the beautifully decorated bedrooms, complete with luxury bed linens and plush beds. 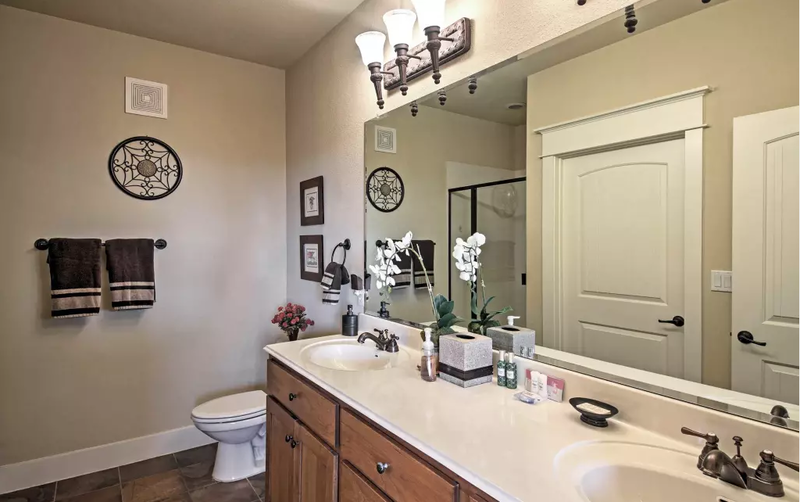 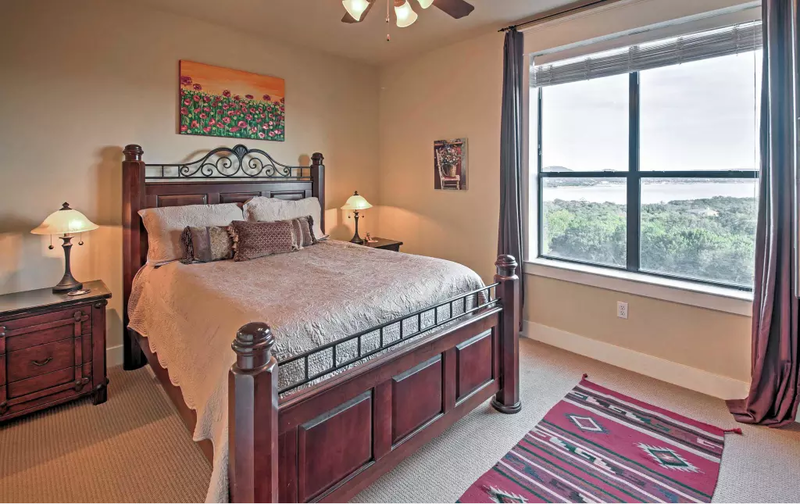 The heads of the household will enjoy the master suite, which boasts an incredible view of the lake, a walk-in closet, and a flat-screen cable TV. 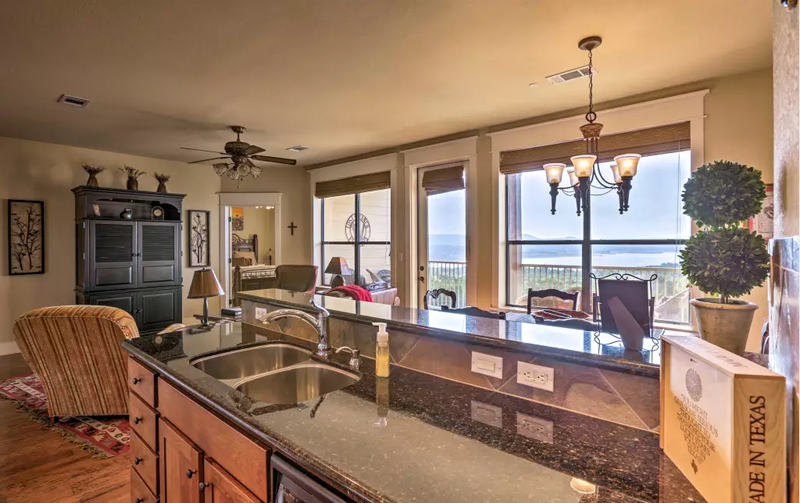 You'll definitely appreciate how close this pristine condo is to the Beach Club! 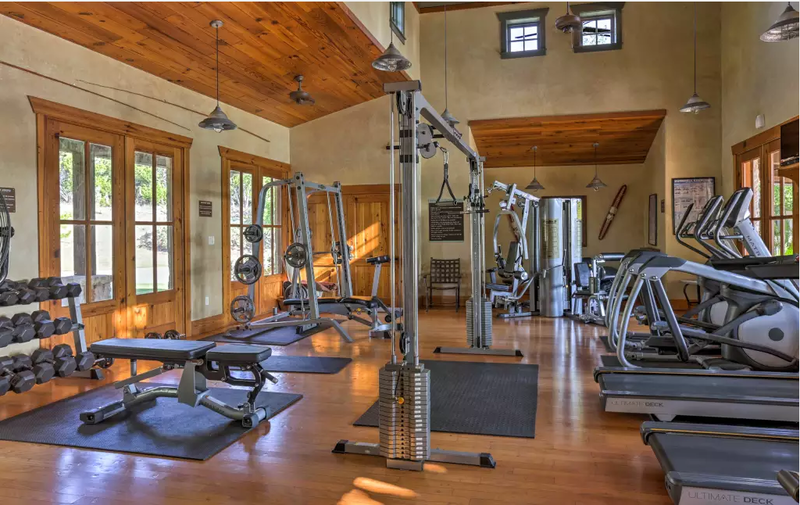 At the Beach Club, you'll find amenities to suit everyone's tastes, including crystal blue pools and spas, a fitness center, seasonal restaurant, beach volleyball court, horseshoes, children's play area, and a barbecue area near the lower pool. 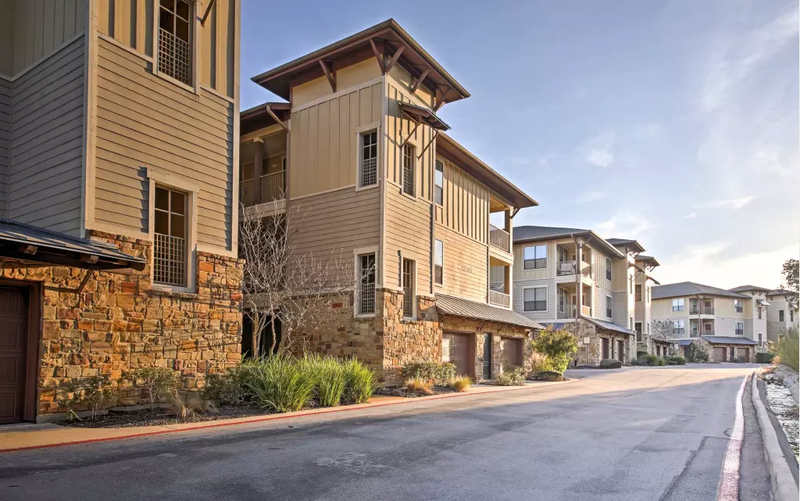 The great North Shore location of this unit makes it easy to explore all that the area has to offer. 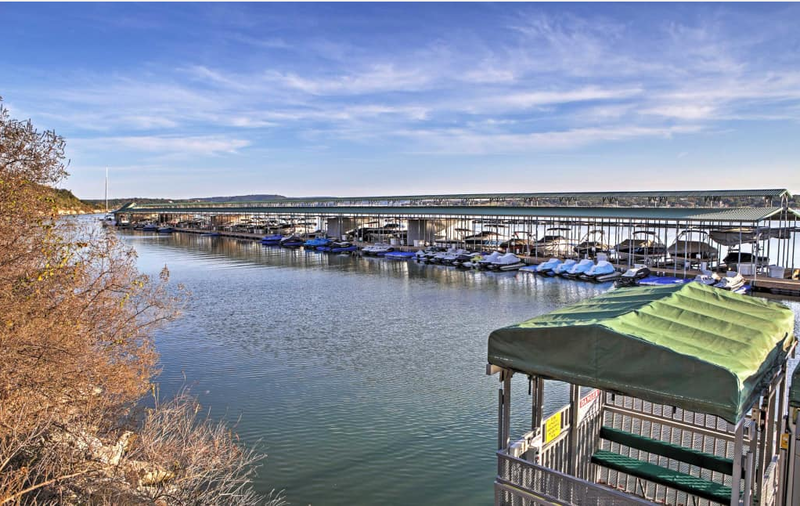 Spend some time on the water by boating, swimming, or kayaking on Lake Travis. 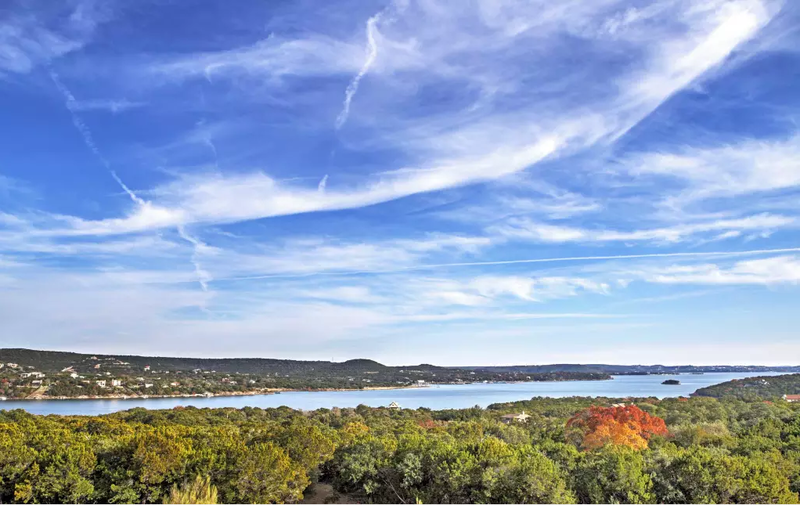 Explore the quaint little towns for unique shopping and local wineries along the Texas Wine Trail, or drive an hour to downtown Austin for endless entertainment. 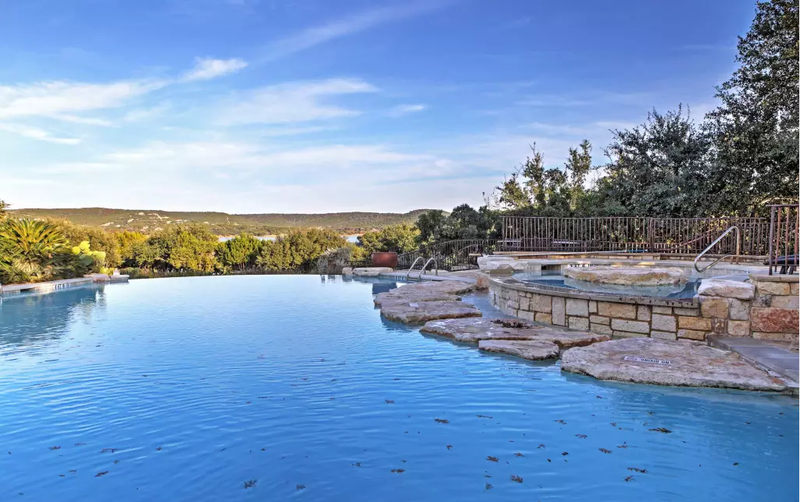 For adventure seekers, try Zip Lake Travis, Volente Beach Water Park, or Hidden Falls Adventure Park. 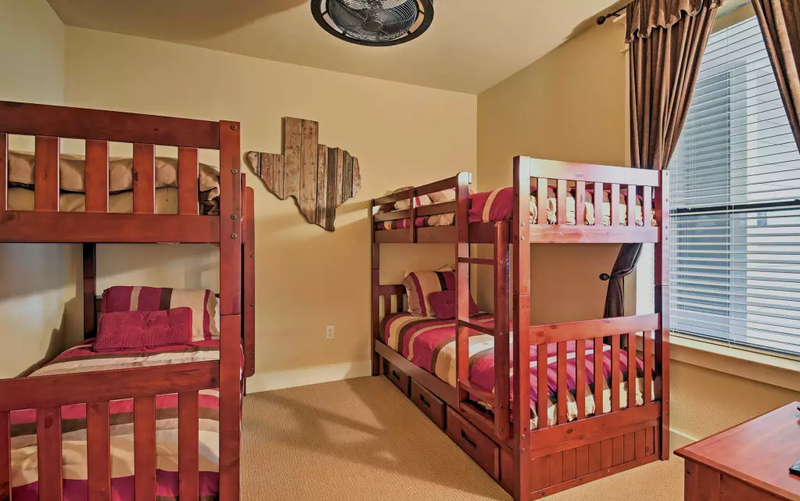 Regardless of how you choose to spend your time at Lone S Ranch, you're sure to make lasting memories when you book this delightful vacation rental condo!